Images are crucial to website performance, but most still don't implement responsive images. It’s not just about fitting an image on the screen, but also making the the image size relatively rational to the device. The srcset and sizes options, which are your best hit are hard to implement. Cloudinary provides an easier way, which we will discuss in this article. In this blog, I’ll share a valuable shortcut that can help you turn all images responsive. 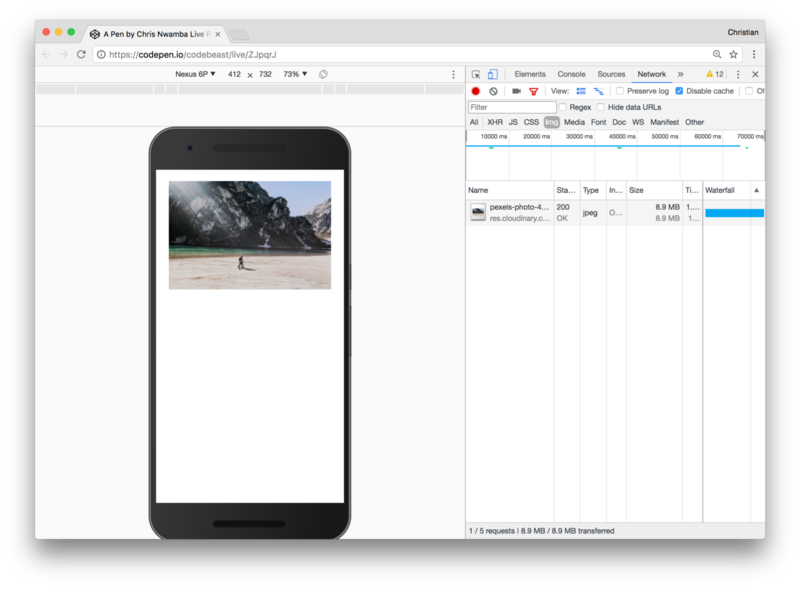 But first, let’s talk a bit about what responsive images are: An image is considered responsive if it retains its quality on varying device sizes without having an unpleasant impact on performance. Let’s assume you have a mobile-first strategy for building responsive apps. 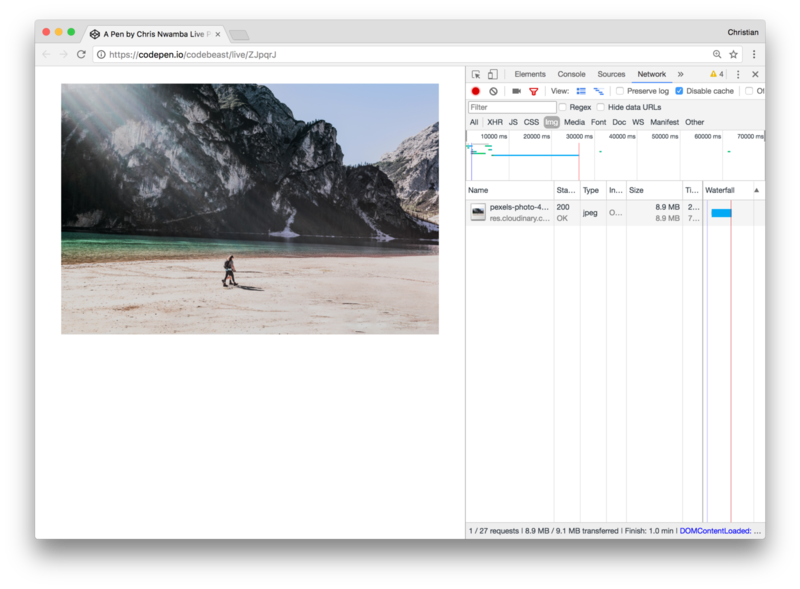 You may decide to use 760px images throughout, without considering larger screens. If these images are meant to take the full width of the devices on which they are rendered, then your content will look distorted and unprofessional on websites or commercial screens. Your next attempt would be to use the largest possible image (2000px) and scale it down based on the screen sizes on which it is displayed. Both on web and mobile devices, the size is still 8.9MB. Bearing in mind that your mobile phones have less resources than your PC, we still have more work to do. Using only a down-scaling approach is not ideal because it does not account for the size of the image; just its dimensions. We have already seen that up-scaling wouldn't work either, hence we need something that handles both dimensions and size. w_auto,c_scale transformation parameters tell Cloudinary to dynamically generate an image URL scaled to the correct width value, based on the detected width actually available for the image in the containing element. The class cld-responsive tells Cloudinary which images to apply this feature too. Remember to create a free Cloudinary account so you can be handed a cloud name for configuring this instance. This piece of code will walk through the DOM, find all image tags with the class cld-responsive to apply size and dimension fitting images on them. The sizes of these images remain the same. Large images on mobile devices eat up resources (like allocated memory and running processes) causing slow downloads or unexpected behavior on the user's device. Responsive images ensure that users save lots of data bandwidth & have great experiences when using your image-rich website or app.